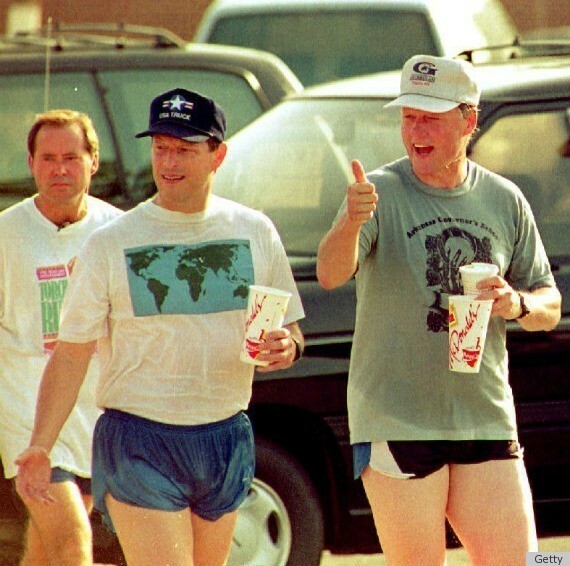 A very '90s-esque photo hit the Internet today of Bill Clinton and Al Gore jogging back in 1992. Love their matching short-shorts! We dug into the archives and found even more images from the presidential jog seen round the world. Enjoy the slideshow! And sorry, gents, but we're REALLY glad those teensy shorts have hightailed it out of style.